EAGAN, Minn. — The initial frenzy of free agency is complete. NFL teams will continue to evaluate available players while directing more and more of their attention to the 2019 NFL Draft in late April. Minnesota made a handful of moves over the past week, including bringing back linebacker Anthony Barr and running back Ameer Abdullah. How will these roster additions affect what Minnesota does in the draft? A total of 21 draft experts have weighed in for our fifth edition of Mock Madness, a look at who is being forecasted to the Vikings with the 18th overall pick. The majority of experts are projecting the Vikings to help out their offensive line with their first-round pick. There are some who believe Minnesota could beef up its defensive line and add to the tight end position, too. There was even a trade, as Arif Hasan of The Athletic projected a third-round deal for the Vikings. Click here for Orr’s full mock draft. The Vikings could use offensive line help here, but at this spot, Hockenson is a great value for another need. If Hockenson is available here, I think he’s too good to pass up. The Vikings have three primary needs — two at the guard spot and one at the defensive tackle spot. It’s tempting to select an offensive lineman and be done with it … but it’s also important to consider the potential drop-offs in value and relative scarcity of players available, especially when accounting for the Vikings’ narrow board. At pick No. 18, three interior defensive linemen were off the board, while only one guard-capable offensive lineman had been selected. Not only that, there were four offensive linemen that could play along the interior that made sense in the middle of the second round but not many defensive linemen. That made it easy to select Wilkins. In the second round, Hasan had the Vikings tabbing Boston College G Chris Lindstrom. In the third round, Hasan mocked the Vikings trading the 81st overall selection to acquire the 86th and 161st overall selections and tabbing Oklahoma G Dru Samia at 86. Click here for Hasan’s full mock draft. The OL will get a long look, but Hockenson is a tremendous blocker who will help the run game get untracked — and he's an excellent receiver, as well. Kirk Cousins had an uneven debut season for the Vikings. And while he deserved some of the blame, Minnesota's porous offensive line did him no favors. Lindstrom, who can play both tackle and guard, is a welcome addition to an O-line that wasn't even replacement level in '18. This may seem early, but Lindstrom is a highly athletic guard with a nasty demeanor. The Vikings very badly need to address their offensive line issues, which undermined their entire season last year. Slotting Ford in up front starts that process. Click here for Tansey’s full mock draft. Dillard is arguably the best pass-blocking left tackle in this draft, and in Minnesota he’d push veteran Riley Reiff inside to guard. For the Vikings, Dillard would have to play with more power than he showed at Washington State. His pass blocking, though, is hard to pass up. Restocking the offensive line has to be the Vikings’ top priority in this draft, whether at tackle or along the interior. In this scenario, they get a versatile blocker in Ford who can play guard or tackle, with the power and athleticism to start from Day 1. As seems to be a perennial tradition, the Vikings need interior offensive line help — and heck they could do for tackle help, too. What with Danny Isidora and ... I'm honestly not sure who else listed as starters at guard, the Vikings bring in Williams and challenge him: either beat out Riley Reiff at left tackle, or play left guard yourself. Williams talked a big game about being a tackle at the Combine — he should be responsible for backing that up in his rookie training camp. It was rumored earlier this offseason that the Vikings are considering moving Reiff to guard, so this situation is win/win from a roster-building perspective. 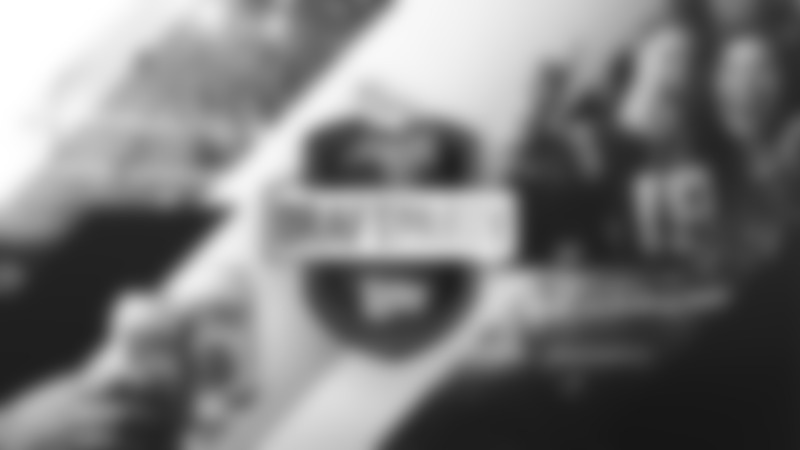 Click here for Solak’s full mock draft. Minnesota welcomed Anthony Barr back to the fold, and hopefully they’ll let him rush the passer more. But there were no real fixes in free agency for an offensive line that remains the team’s primary obstacle, and Kirk Cousins is going to keep hitting his head on his own ceiling until that changes. Williams would be an ideal fit. An outstanding run-blocker with top-notch pass-blocking potential, Williams has the attitude required in an offense where the run is as important as the pass, and the quarterback needs all the help he can get. Note: The following mock draft projections were made before the start of free agency but more recently than Mock Madness 4.0. Value, value, value. Oliver is one of the top 10 players in the class. So although offensive line is a more glaring immediate need here, the Vikings could plug Oliver into the middle of that defensive line between Everson Griffen and Danielle Hunter and create headaches for offensive coordinators. He's a perfect replacement for free agent Sheldon Richardson. This is just going to be one of those teams who keep getting an offensive lineman every single mock until they figure out a way to get protection for Kirk Cousins. 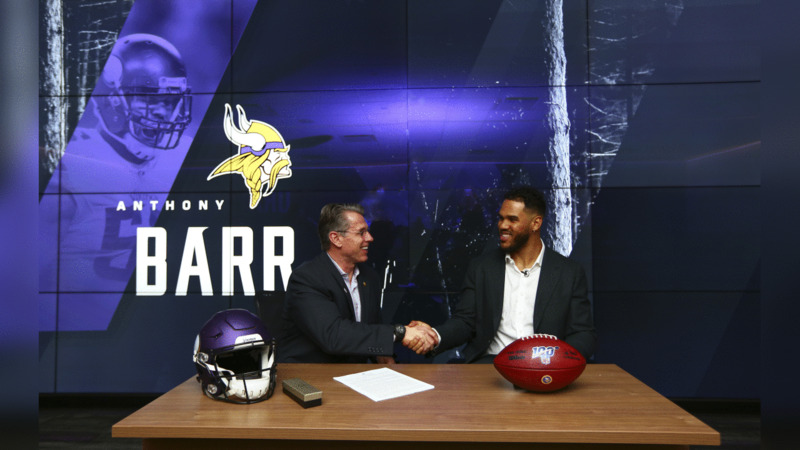 Vikings LB Anthony Barr and DT Shamar Stephen met with the media after signing their new contracts with the team. They have to get better up front and Ford would offer versatility. He was a college tackle who would move inside. Ford is a rare dude. He is a massive man with surprising mobility for his size and the type of power expected for his frame. He has the versatility to play both guard and tackle as Minnesota aims to fortify the shaky front five that limited the Vikings offensively in Year 1 of the Kirk Cousins era. Click here for Marino’s full mock draft. Ford's best fit might be at guard, but whether he plays inside or at right tackle, he'll be a much needed reinforcement for a Minnesota team that has to get better up front if they're going to take the next step.